GPS ground speed 2D or 3D ? To show just how stable the techwing is while flying slow, I made the following video. I wanted to post an update on the work I have been doing on the techwing design. The new design is scaled up some to a 40 inch WS. It also includes real Grantz type winglets, a longer tip cord and fixed LE slots. 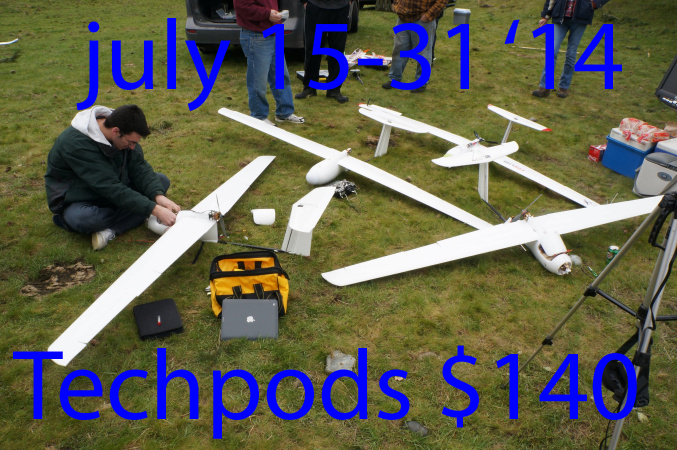 Techpod kits are going on sale from today until july 31st They will be available for $140 to all US and Canadian customers. 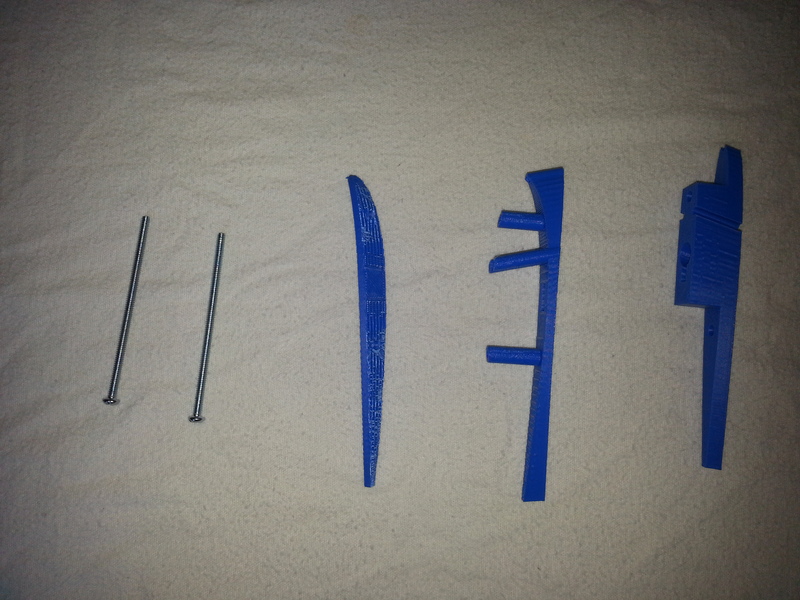 All newly shipped techpod kits will be shipped with these great upgrade parts which make the tail and wing very easy to remove and transport. Wayne, lets plan to fly together in Jan sometime up there in WA. We can get you started with Beta Software then. RE: Your small platforms, do you have access to a Nokia NSeries device (N95 etc). If so, we can get you up and running with them, if not, I think these will turn out to be a better set of devices to work with insofar as Autopilots go than the WM devices that Chris currently works with. But we will also be porting our acquisition code to WM6 in the new year. You can check out the new Tilt device on ATT since it is the best device in this family at the moment. But we highly recommend the nokia devices, and would like to be able to implement an autopilot with them as well. Drop me a line and we'll discuss. Hi Wayne. This is Scott Thompson from Skyler Associates, LLC. Things going well up there? I'm very impressed with the work you are doing here and interested in your C2 design as it looks very similar to what I'm toying around with. My plan was for a UAV based on that design for air potos primarily. I confess i just like the look as well. I have a ryobi 31cc converted ready to g and spectrum radio equipment. I was wondering if you had any drawing or palns that you'd be willing to hshare to help me get the proportions correct?? Wow I've just looked at your page, there's lots to learn from you ! Thank you for looking at my posts and I'd be delighted to receive some help from you ! No, it's a 1944 Taylorcraft, similar to the type used durng WWII. In fact the one in the photo is the same type as one which was brought ashore during D-Day, then assembeld and flown as a spotter for navel guns. The pilot sits up front and observer can elect to sit facing forward or backwards. All tube and fabric construction. Hi Wayne I very much applaud your going Open Source and I am truly sorry for your problems with John, I have been in a similar position with a "partner" once also and these things are really painful. I was in the nearly identical position to which you find yourself, a years worth of development work and told to go away. My ex partner then went on to try and develop it without me but ultimately failed. If your circumstance truly mirrors mine, believe me I feel your pain. I am putting together my own informational website with mostly non-APM/PX4 implementation and use information on it that will still be primarlily for the benefit of the DIYDrones community. To make a very long story short this has resulted from the desire of the lead developer on the Copter wiki to keep the wiki solely focused on APM/PX4 use and implementation. I think this is a disservice to the DIYDrones community who has a right to and use for a wider focus than that. Probably it could have been worked out at one time with cooperation and collaboration, but unfortunately it is too late for that now. You can probably understand this too. In any case, I would be happy to feature and include information about your TechPod on my site. BTW my site will expressly not be in any way confrontational or negative relating to 3DR, DIYDrones or any of the people involved with it, my difficulties are mine and a waste of time for the group so I will not do or be party to that. I actually think your Techpod is the single best example of an off the shelf multi use UAV currently available and have already included a picture of it on the front page of my website. 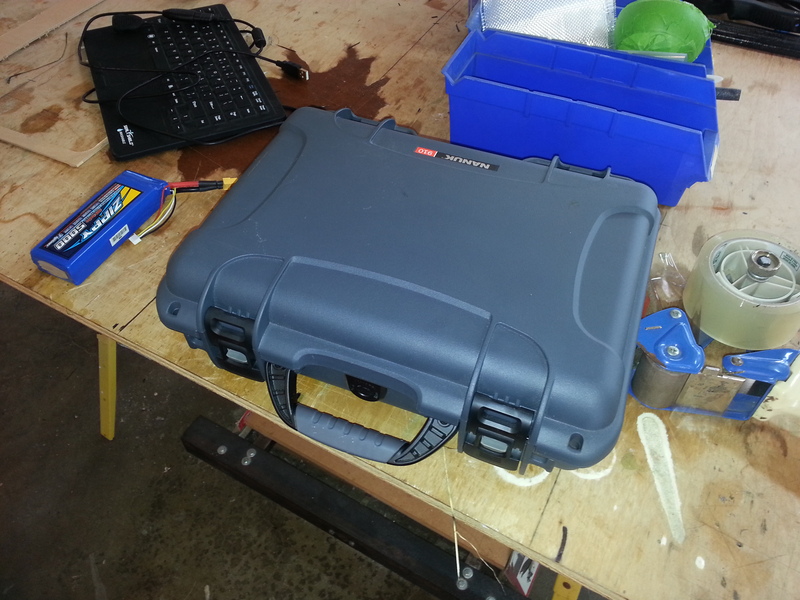 Hi Wayne, I know you've done some work with OpenFOAM before. Would you be willing to collaborate on geometries? I'm the author of droneCFD and I would like to generate some results with the software. I have some CPU time to crunch away on geometries. Let me know. Hi Wayne, I'm just wondering if you still have the hobbyuav store active and if not can you point me to some resellers.